Newport Gwent Dragons have signed former Wales U20's captain Cory Hill on a three year contract. The second row has already begun training with the regional side at Rodney Parade. 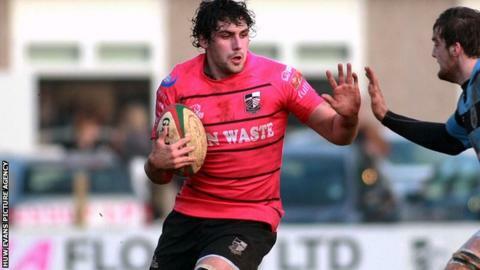 Hill, who has had stints with Cardiff Blues and Pontypridd, will make the move from Wales to Moseley in June 2013. "I like Cory's attitude and his youthfulness," said director of rugby Lyn Jones. "We want to help fulfil his potential and Cory's signature is a step in the right direction for Newport Gwent Dragons. "Cory may have a great future at the Dragons as he certainly posses' potential to be a very good player." Hill, 21, has been named in the Dragons squad for this weekend's LV Cup clash against London Wasps.